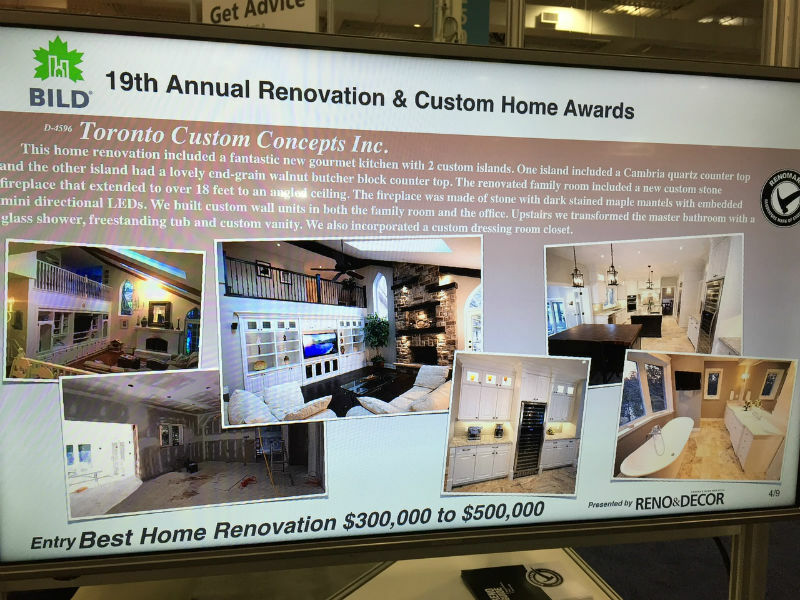 While attending the recent GTA Home Reno Show at the Toronto Airport Convention Centre this weekend, I was thrilled to see the projects completed by Toronto Custom Concepts highlighted at the BILD reno experts booth powered by Reno & Decor. We were happy to have our work showcased in three categories: Renovations under $75k, Renovations between $150-300k, and Renovations between $300-500k. 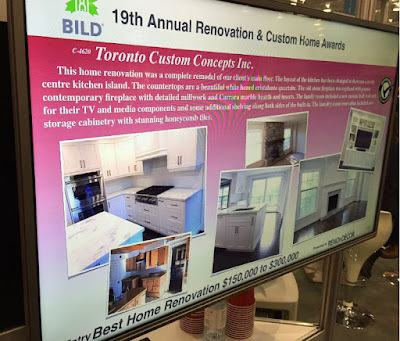 We are very proud about the quality of projects we complete and the wide variety of projects we have ongoing at any point in time. 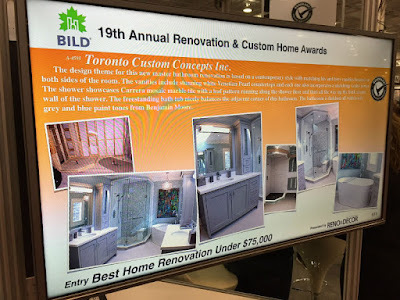 Thanks to our clients and to our amazing team!